Editor's note: Magneti Marelli's name was misspelled in a previous version of the cutaway. 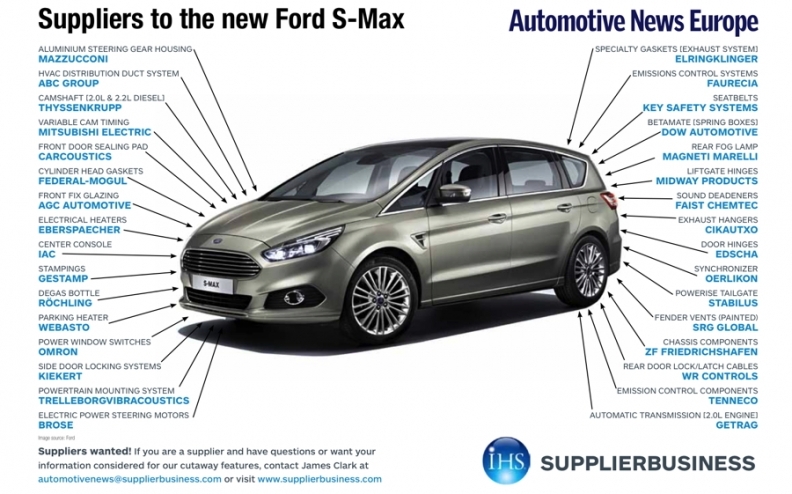 Assembly of the second-generation Ford S-Max began in May 2015 at Ford's factory in Valencia, Spain. Output is expected to peak at more than 40,000 units this year, according to IHS Automotive.